Why is getting immediate assistance better than waiting? The truth is the faster you get to a fire damage is to minimize further damage or possible secondary damage from the water used to extinguish the flames. Or if the flames tarnished your roof than you are in a position where you are in need of immediate assistance from a fire damage restoration specialist to tarp your roof; tarping your roof is important to protect your business from rain and other environmental factors. SERVPRO of Waycross, Hinesville, and Douglas will then assess the extent of the damage to property. This involves how far the fire, smoke, and soot traveled throughout the business and if any furniture or clothing was affected. This is an important step to understand the damage to better assess the cost of the restoration process. 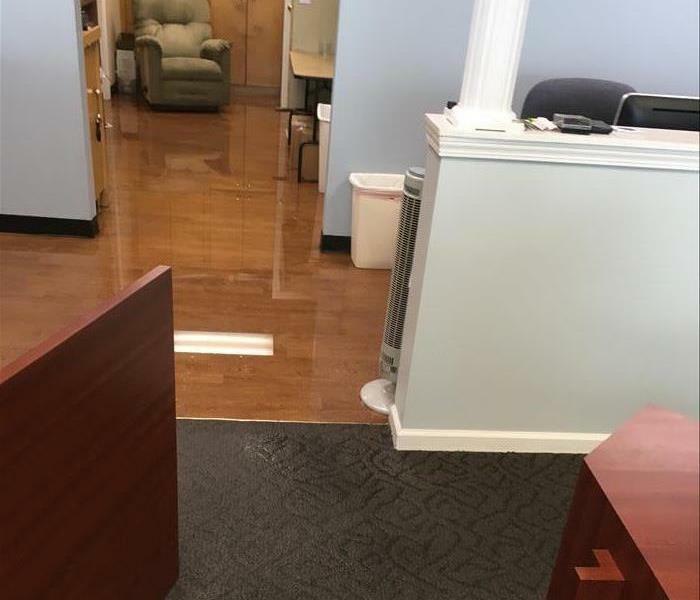 SERVPRO of Waycross, Hinesville, and Douglas will then establish power to the business if needed by using a generator and begin the restoration process of removing any smoke, dust, and soot from the surfaces in your business. SERVPRO of Waycross, Hinesville & Douglas has the training, experience, and equipment to handle large commercial fire damage emergencies. Whether your fire emergency occurs in a restaurant, motel, or office building, we will respond quickly to mitigate the damage and manage the restoration project through to its completion. Learn more about SERVPRO of Waycross, Hinesville & Douglas training and certifications. SERVPRO of Waycross, Hinesville & Douglas can respond immediately to your commercial fire damage emergency regardless of the size or scope of the damage. We are part of a national network of over 1,700 Franchises with special Disaster Recovery Teams placed strategically throughout the country to respond to large scale events and disasters.